During the weekend two persons dear to my heart went home to be with the Lord. 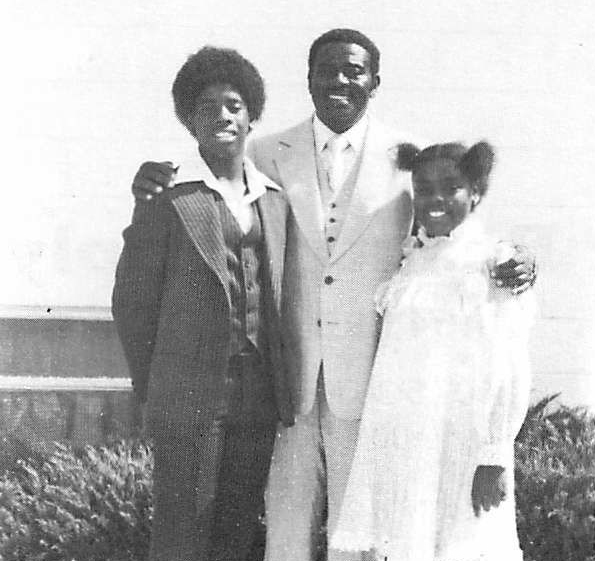 In 1991 I was a candidate for the pastorate of the Mount Pleasant Missionary Baptist Church in Fresno, California. I was recommended to check the church out by Dr. T.L. Lewis and I applied for the congregation. I heard from the Pulpit Committee and they scheduled me to come to Fresno. At the time, I didn’t have a lot of money (I still don’t) and they arranged for me to stay in the home of Deacon Mack Haynes and his family. Mack was one of the members of the largest families in the church, the Haynes family. I remember that several of their family members had a tee-shirt that said “It’s a Haynes thing, you wouldn’t understand.” Mack was very gracious to me and I enjoyed talking with Mack. He was a walking encyclopedia of information about Mount Pleasant and the thing I appreciated about him was that he would tell you what was on his mind, hold his ground when necessary and change it if it could be proven otherwise. I came to Fresno twice as a candidate and both times I stayed at his home. In October 1991, I was called to be their pastor and for the first few days, until the parsonage was ready, I stayed at his home. Mack was one of my faithful deacons, consistent in Sunday School, the Voices of the Mount Choir, the Men’s Chorus, and he was one of the best encouragers of young people I can recall. He loved his pastor. When I was called by the New Hope Friendship Missionary Baptist Church, I held a meeting with the Deacons and I remember Mack saying, “Pastor, I still love you. That will never change.” He proved it. For many years, whenever I travelled to Central California, I made it a point to stop by and find Mack, his brother Junious, Willie Green, John T. Adams, Gaylon Aldredge – those men were my backbone and support at Mount Pleasant. They protected their pastor, gave me great counsel, and even shared some history and some jokes with me (I won’t dare share them here). I called Mack a few months ago and he was Mack – laughing, opinionated, and asking “Rev., how are you doing? It’s good hearing your voice.” My condolences go to the entire Haynes family. He was a member of that church for easily 60 plus years. He joined the church initially with his brother, Naaman Haynes and his sister, Earlene, and he served as Junior Deacon, Senior Deacon, Supervisor of the Young Peoples Choir, Secretary of the Trustee Board, and he wrote in 1980, “I love greeting all of you each Sunday morning . . . I still enjoy and look forward to Sunday as I did when I was a youngster.” He passed away on Saturday enjoying one of his favorite past times, football. Mack said to me once when I told him I was a Dallas Cowboys fan, “Rev., if we knew that, we may not have called you.” He was a great 49ers fan. Rest in peace Mack. I’ll see you in the morning. For several years I had the privilege of serving as the guest evangelist for the North Richmond Missionary Baptist Church under their legendary pastor, Dr. C.W. Newsome. Dr. Newsome took a liking to me as a protégé of sorts and in his latter years there before his retirement, he would bring me in regularly to preach. Matter of fact, I preached his final communion service and encouraged the membership to save their disposal cups in remembrance of the many years of labor that Dr. Newsome provided for them. His wife, Dr. Alice Newsome was one of the sweetest first ladies of a church that I’ve ever met. She was an accomplished, trained musician and whenever I came to North Richmond, she insisted that I would get on the piano or the organ. Every time I preached, she made it a point to give me a word of encouragement after each sermon. I actually candidated at the North Richmond Church in 2005 before moving to Nashville. I would see her at the St. John District, the California Missionary Baptist State Convention and the National Missionary Baptist Convention of America, when her health allowed. I loved me some “Miss Newsome” and I would send her cards every now and then just to let her know I was thinking of her. Rest in peace Miss Newsome. I’ll see you in the morning.